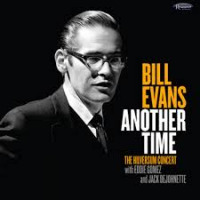 To fully understand the music of pianist Bill Evans, it's essential to know the works of composer Earl Zindars. Evans recorded several of Zindars's songs, including Elsa, How My Heart Sings, Mother of Earl, Lullaby for Helene, Quiet Light and Sareen Jurer and the two were close friends. Today, Zindars' pieces sound like the spirit of Evans's soul. Evans first recorded a Zindars composition in 1961. 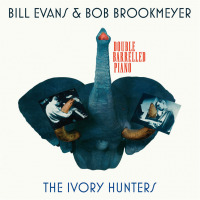 The song was Elsa, and it appeared on Evans's Explorations album. Zindars had sent it along to Evans, as he had done with earlier classical orchestrations for the pianist's opinion. Going forward, whenever Zindars's originals arrived, Evans gave them a careful reading and seems to have brought a special level of sensitivity when recording Zindars's works. The two were close throughout the 1950s, with Evans serving as best man at Earl and Anne Zindars's wedding. Anne (nee Bohigian) had been a member of the Axidentals jazz-pop vocal group. Earl and Anne met in New York during a run by the Axidentals at Radio City Music Hall in 1958. Earl was a timpanist in the hall's orchestra. Lullaby for Helene was written for Earl and Anne's daughter. Earl and Helene Zindars provide two pieces of important information about Evans in Pettinger's book. In one, Helene Zindars relates how Evans liked to talk in detail about his passion for Pepperidge Farm molasses crisp cookies. By decoding the serial numbers on packages in different stores, Evans could figure out which ones held cookies that were burnt around the edges, a personal favorite. More important was the citing of an interview Win Hinkle conducted with Earl Zindars. 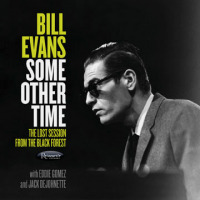 Win asked the composer about the authorship of Blue in Green, which has been credited to Miles Davis and appears on the trumpeter's Kind of Blue album. When Win asked Zindars if the song was entirely an Evans composition, Zindars replied: Definitely. I know it is, because he wrote it over at my pad where I was staying in East Harlem, a fifth-floor walk-up, and he stayed up until 3 a.m. playing those six bars over and over. It was lovely, but it turned out to be only six bars! But sill it was all perfect, it's all there. Those are Bill's changes in there." Why didn't Evans records more of Zindars's compositions? We'll never know. Earl Zindars died in 2005. The Return (1990) features Don Haas (p) Larry Grenadier (b) and Scott Morris (d) recordings Zindars's works, with Zindars playing on one track—Mediation. Go here. And Then Some (2001) was produced by Zindars and features two trios—Larry Dunlap p), Seward McCain (b) and Akira Tana (d) recording Heads or Tails, Walkin' By, City Tune, My Love Is an April Song, Three Times Around, Song for Artie and Gurdgieff. 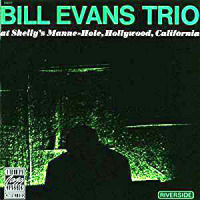 The second trio features Don Haas (p), Bill Douglas (b) and Scott Morris (d). 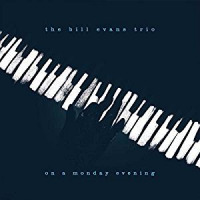 They play on Quinn Essence, Songtus, When You're Far From Home, Lil' Evan, E.Z Breeze, Earl's Blues, How My Heart Sings and I Always Think of You. Go here. 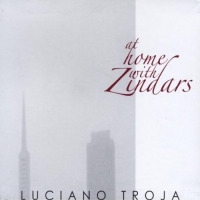 At Home With Zindars (2010) is a solo album by pianist Luciano Troja of Zindars's works, recorded at home between 2006 and 2009. Go here.